Here’s a few pictures of what we’ve been up to lately. This first one was taken standing in the parking lot at the front of our building, just after we moved in. We were very fortunate to be in the right place at the right time when we bought the majority of our brewing equipment. Alesmith Brewing Company, in San Diego, was upgrading their brewing system to a bigger size, and we were able to buy their old brewhouse from them. Most of their brewhouse was built from converted dairy tanks and vessels, so you may notice that these don’t look like your typical brewery tanks. 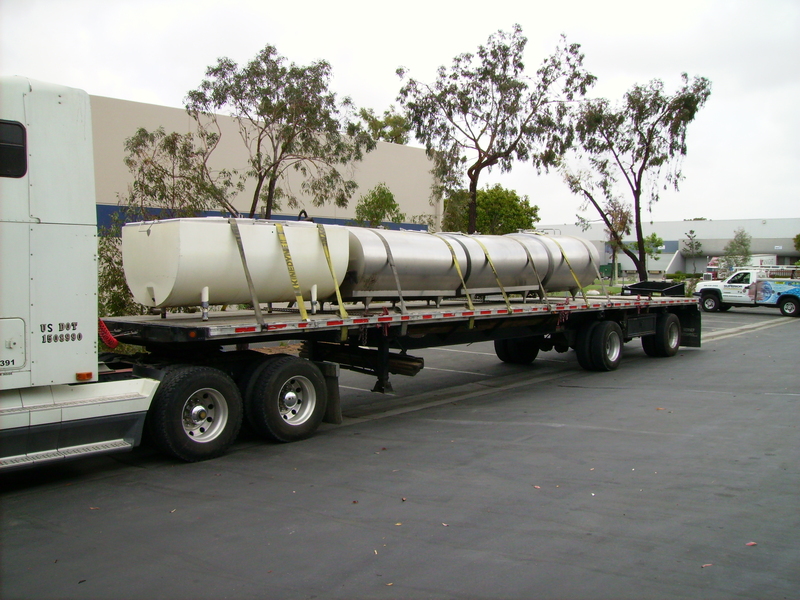 This picture was taken just outside of Alesmith after we put the first load of tanks onto the truck. The tank in front is one of our open, primary-fermenters, and the others are secondary fermenting tanks. I didn’t manage to get any pictures of us in the act of loading, since we pretty much had our hands full getting them safely onto the truck. 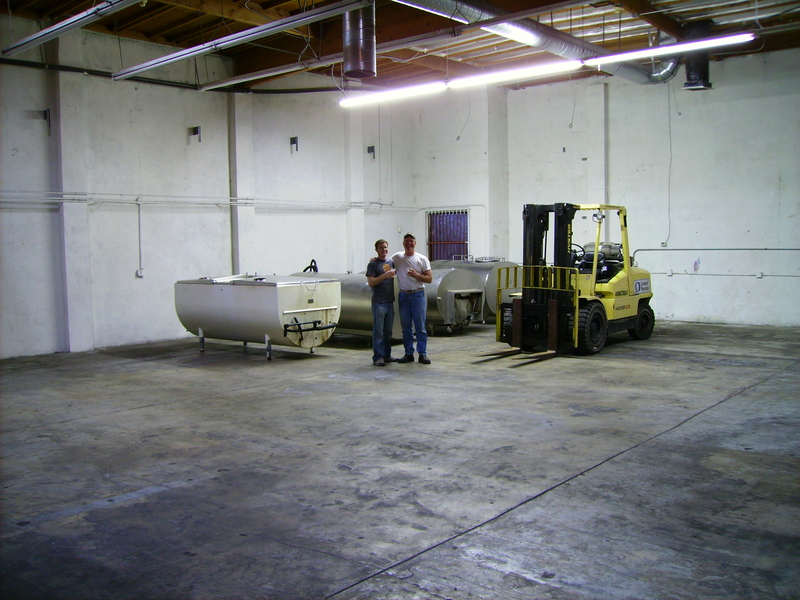 This was taken just after we finished unloading the first load of tanks into our brewery. It’s kind of hard to see, but we’re celebrating with a couple pints of Alesmith IPA. 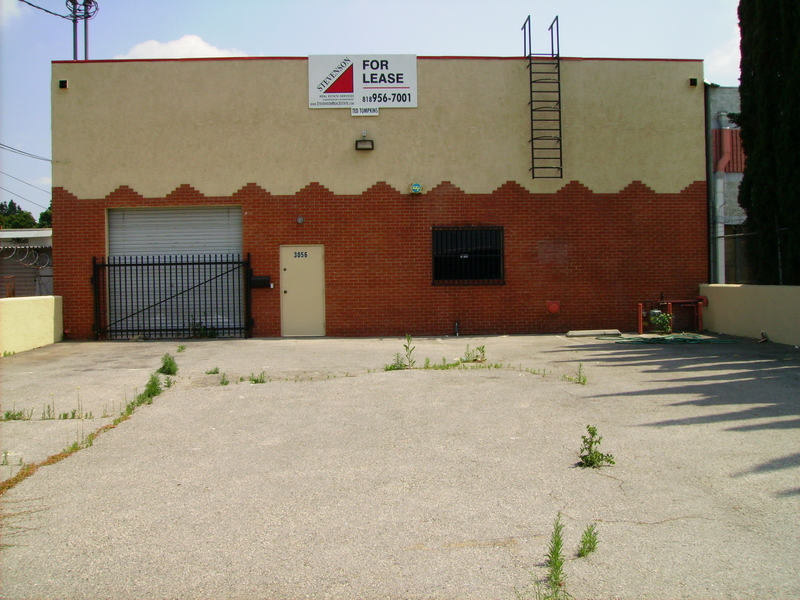 Anyway, to spare you the misty memories, we actually did the legal paperwork in March of 2006, and Eagle Rock Brewery, LLC was officially started. 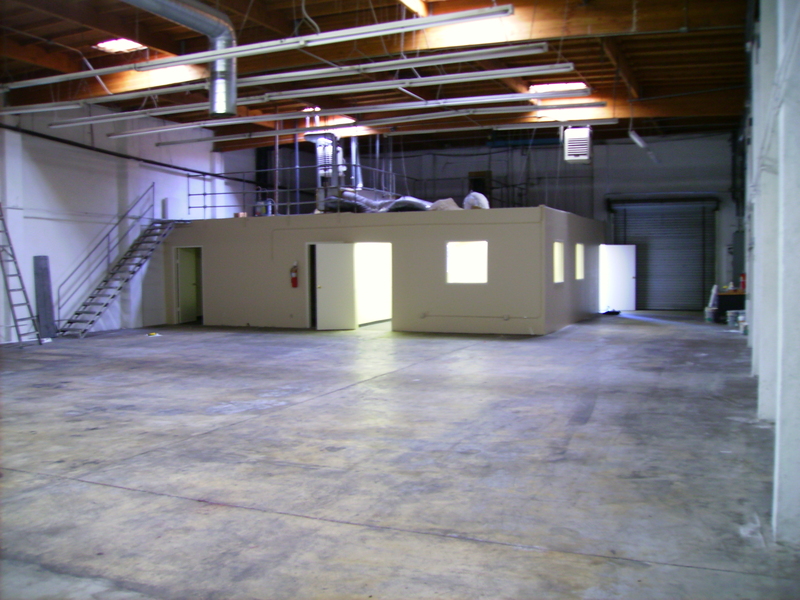 The remainder of 2006 and most of 2007 was spent working on the business plan, and researching the logistics of what it would actually take to open our own brewery. It seems crazy now, but it really did take us the better part of two years to get all of the information together, write a solid business plan, and feel confident about what we were getting ourselves into. Oh, and my dad and I were both still working our full-time “day” jobs too. Time has really flown since then, and a lot of exciting things are happening for us now, so I’ll skip the boring historical details and get caught up with current events. Oh, for those who are interested in the boring historical details, I’ll try to get into those at a later date.